I did not intend for there to be a “Part 4” of my series on The Intersection of Leadership and Leadership Culture. 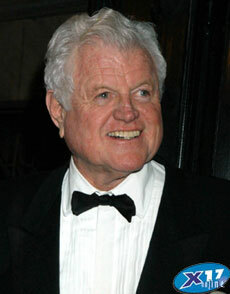 But I was struck by the death of Senator Ted Kennedy this morning after his painful bout with brain cancer. I have never been a fan of his politics, but have become a fan of the man and the leader this man became in the latter part of his life. Kennedy, despite his many failings – and there were many – became what I call a great leader. If there is any sort of positive leadership culture in the U.S. Senate or Congress in general, Ted Kennedy, the youngest Kennedy son, the “black sheep” of that revered American family, the failed presidential candidate turned honored statesman, played a seminal role. I could not have expressed my thoughts on the meaning of Kennedy’s life as a leader as well as author Sarah Green has in Harvard Business Publishing’s “Conversation Starter” for today. So for today, learn something more about the Intersection of Leadership and Leadership Culture, and about the Intersection of Purpose and Now, by reading Sarah Green’s brief summation of the life and death of Senator Ted Kennedy. This entry was posted in culture, harvard business school, leadership, Purpose. Bookmark the permalink.